Waste materials such as used antifreeze and coolants are harmful to the environment once they are improperly disposed. In line with this, the company included Waste Antifreeze Removal in its full range of services wherein we collect and process waste antifreeze to minimize their detrimental impact to the environment. The Waste Antifreeze Removal service starts with the collection of the waste materials from our client's facilities. Then, the used antifreeze materials are processed to make them reusable for re-selling purposes. The once waste antifreeze or coolants are turned into renewed products that are usually sold as packaged and in bulk. We call this process as "up-cycling" or recycling waste into a product that has a higher level of quality compared to its original state. The up-cycled antifreeze products that we offer are sold in large quantities to the public. They are 100% safe to be used and are less expensive compared to virgin antifreeze. 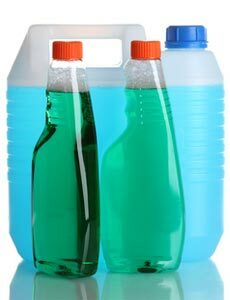 Our Waste Antifreeze Removal service can be combined with other services into one package so our clients can save more by availing two or more services at one time. For inquiries on our rates and packages, please contact our friendly customer support, or fill out the Online Contact Form provided in this website. We Are a Full Service Collector of Used Oils, Used Oil Filters, Used Antifreeze, and Oil Contaminated Solids.